If you’re a first responder or a member of the U.S. Military who is in the market for a new car, look no further than Baxter Volkswagen. Our VW dealership in Omaha, NE, is running the Volkswagen First Responder & Military Special programs, which allows those who are eligible to get a $500 voucher toward the purchase of a new VW at our dealership. No matter if you prefer the cabin features and comfortable feel of a new Volkswagen Tiguan or Touareg SUV, or you desire an eco-friendly yet stylish sedan like a new VW Jetta or Passat, our wide-ranging selection has just what you need. 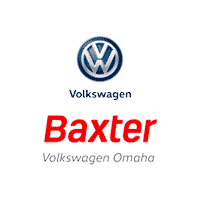 No matter if you’re a new paramedic serving in Greater Omaha, a long-time firefighter or you were stationed at Offutt Air Force Base, the team at Baxter Volkswagen Omaha wants to say thank-you for your service. Call ahead or stop by our Omaha VW dealership to test-drive a new Volkswagen model and figure out which one is right for you. To learn more about the Volkswagen military special or to see if you qualify for the VW first responder special, feel free to contact Baxter Volkswagen Omaha. We hope that the $500 helps you pay for the VW of your dreams!